A unique, accelerated safety certification program is underway at UC San Diego Extension in partnership with the Associated Builders and Contractors of San Diego. The program emphasizes hands-on training, including a guaranteed job internship. Fifty proud apprentices and craft trainees, surrounded by family and friends, celebrated the culmination of many years of hard work at their June graduation from the Associated Builders and Contractors Apprenticeship Training program. Construction remains one of the most male-dominated professions left in the United States, just slightly better than the National Football League. The U.S. Department of Labor estimates that women hold just 3 percent of the 7 million construction industry jobs in the country. This isn’t much different from the number of women in construction in the 1970s. No one ever gets tired of winning. When you are used to winning, the pressure grows to keep winning. High school girls had the opportunity to learn about careers in construction this summer through Camp NAWIC, a hands-on free day camp hosted by the San Diego Chapter of the National Association of Women in Construction. Camp NAWIC celebrated its eighth year of camp from June 22 to 28 at the Stanley Foster School of Engineering, Innovation and Design at Kearny High School in San Diego. The high quality of the ABC San Diego Apprenticeship Training Program is due in large part to its highly skilled and dedicated instructors. All instructors are experienced professionals who devote significant time to building the future generation of skilled construction craftworkers. San Diego City College President Anthony Beebe visited the Associated Builders and Contractors Training Academy for a tour of the classroom and lab facilities. Ten of Southern California’s top plumbing students at the high school and post-secondary level put their skills to the test under the eye of the San Diego Associated Builders and Contractors during the recent 48th annual SkillsUSA State Leadership and Skills Conference at the Town and Country Resort and Convention Center. Castle Park High School in Chula Vista offers an industrial arts program to its students featuring courses including “Introduction to Construction” and “Introduction to Construction Plumbing.” Both classes provide entry-level training and exposure to residential and commercial construction in the building trades. 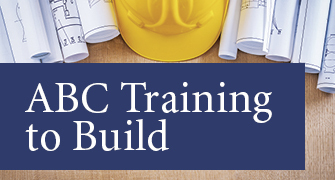 Construction professional training is an ongoing process and continues long after an individual completes an initial apprenticeship or craft training program. Training in new techniques, materials, codes and safety is a vital part of being a qualified construction professional. Many San Diego high school graduates from the Class of 2015 have been enjoying their summer break since getting their diplomas. Many will be college bound in a few weeks. Others are starting to consider their job options.